INLEAD - Job Oriented Program | 100% Campus Placements | MBA and PGDM Programs: Google turns 18! By 2020 India is expected to have 650 million internet users from the current 350 million. We are already the second largest purchaser of smartphones in the world, with about 220 million users till 2015. Over 20 mobile brands are now assembling their products in India with the hope that infrastructure will improve with better internet connectivity and superior performance of 3G and 4G networks pan India. The data above seems very exciting for companies that are trying their best to capture a larger share of the internet savvy Indian. Google is one such player with multiple products and services in the form of Chrome for mobile phones, Google Assistant in Hindi, YouTube Go for faster browsing on 2G connections and Google station to provide Wi-Fi access in large public spaces. 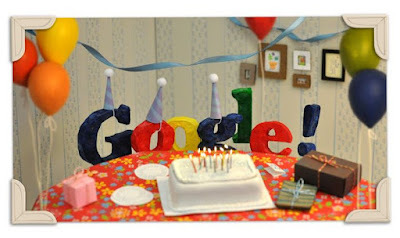 These are just some of Google birthday announcements for that nation which shows maximum promise for the years to come. Google was set up in 1997, and was the product of a new found friendship between Larry Page and Sergey Brin at Stanford University, USA. The domain google.com was registered on September 15th 1997. The name “Google” is a derivative from the word Googol, a mathematical term for the number represented by the numeral 1 and followed by 100 zeros. This reflected the founders’ vision to organize a seemingly infinite amount of information on the web. In February 1999, Google moved out from its founders’ garage to its new office in Palo Alto, California. The year 2000, when Google launched its most successful revenue generating service, AdWords, Google starts to grow by leaps and bounds. By 2001 when Google launched it Google images with a cache of 250 million images, it soon became a household name. There was no stopping this company when soon after it opened its first international office in Tokyo, Japan. 2004 was when Google introduced the world to social network via its platform called Orkut and in 2005 it set up the eponymous Google Maps, which by 2009’s addition of navigation has rendered us helpless and without which many of us cannot move around the city. With a slew of new products and services constantly coming out of its innovative labs Google became a powerhouse in the online hemisphere. They set up wonderful offices across the globe and came up with innovative HR policies, and by 2007 Google became the best company to work for in the entire world. 2013 was when Google pledged for a total clean energy commitment, and soon after launched their Google Loon, its balloon project for rural connectivity. Google hasn’t stopped even for a minute ever in its efforts to provide better and valuable services to its customers. The company is iconic and the functionality of its products is indefatigable. So here’s to a rocking birthday with wishes for many more. We truly cannot imagine our lives without this brand, now especially when the brand is increasingly used as a verb! Let’s Google it, shall we?